photographs in 10 x 8, 7 x 5 configuration. Blank pages are also available. Construction Concertina style album viewable from both sides. The mounts are hand cut and acid free. Ribbon ties hold the album closed. padded or unpadded. 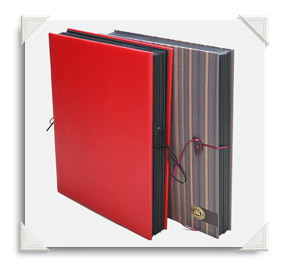 This elegant modern album not only stores images safely but is excellent for displaying images.